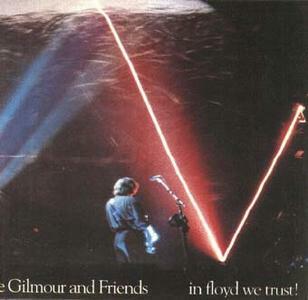 David Gilmour and Friends: In Floyd We Trust! 12 Jul 1984, Allentown Stadium Arena, Allentown Pennsylvania. The sound is excellent, it has to be taken right from the console. This recording was probably taken from the soundboard. Excellent quality, great performance. This is the complete radio broadcast of the concert. One of the best versions of Money that I have ever heard.